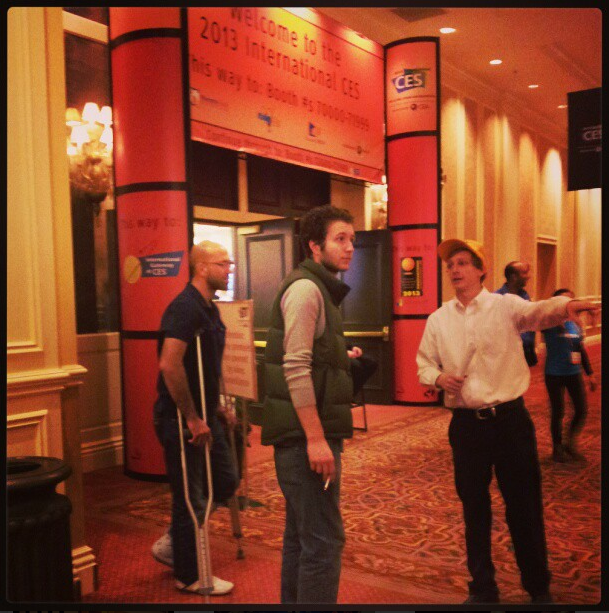 I just returned from the 2013 Consumer Electronics Show (CES) in Las Vegas where I attended as Giveaway Bandit press. 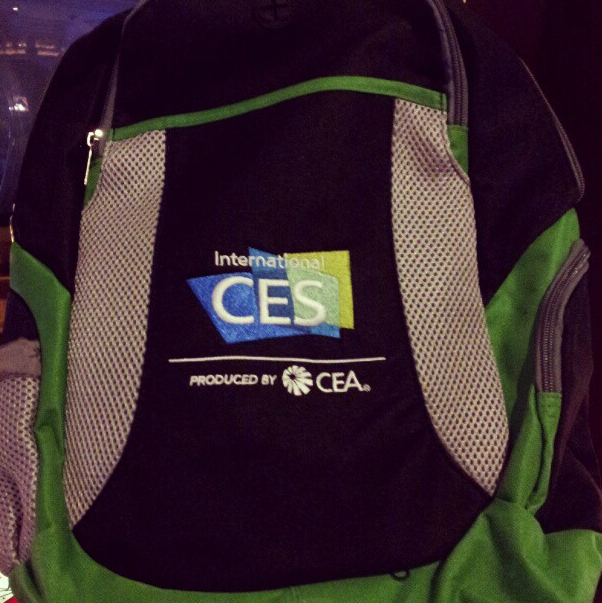 CES enables consumer electronics to grow and thrive. It reaches across global markets connecting the industry with a Global Stage for Innovation. This year was a record breaking show with more than 3,250 exhibitors unveiling new technology. The space for all of this is massive across 1.9 million net square feet. It was quite an experience! I’ve been to Vegas numerous times and this time my husband tagged along for the trip. 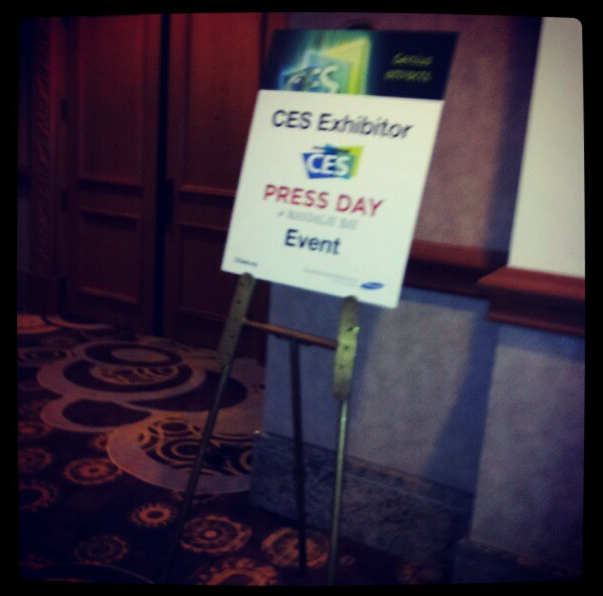 Monday was Press Day at Mandalay Bay. Of course, we were at the opposite end of the strip so we decided on a taxi. Everyone says to use the city bus or monorail to save money but I opted for the taxi. After my first experience on a city bus, which happened to be in Vegas 11 years ago, I experienced a man with Dumb & Dumber style toe nails and decided it just wasn’t for me. Obviously living in the country we don’t have city buses so that was my last time riding one. The taxi was much quicker which is exactly what I needed. Press Day was full of conferences by companies like LG, Sharp, Livio, Panasonic and many others. I was completely exhausted. I thought my feet might just fall off from all the walking. The actual show is Tuesday through Friday spread out across various places like the Venetian and LVCC (Las Vegas Convention Center). It is huge! Every location had a press room so I was able to recharge my phone, check my email, post pictures, etc. They offered free lunch for the press which was nice and I also received a press bag full of a few goodies like Gibson guitar t-shirts. I collected so much material from the various exhibitors that my bag got so heavy by the end of the day. When I packed for the day I brought my iPad, smartphone, chargers, notepad, pens, hand sanitizer, antibacterial wipes, water, trail mix, press badge, business cards, media kit, and flash drive. Along the way I bought some fast flats that saved my feet. I wore the tiniest heel and what I thought were comfy shoes, but the fast flats definitely saved me by days end! The exhibitor area I enjoyed the most was the Mommy Tech Zone. It was excellent for Giveaway Bandit fans! We were introduced by some really neat new products from companies like Lego and Cubify. Since I don’t like to be gone more than a few days (yes, I love to be at home) I didn’t stay for the whole show. I did go through several large exhibits at the LVCC and enjoyed learning more about new products from Samsung and other large companies. Stay tuned for more info about the fun new products we got to review! Learn more about our stay at Harrah’s Las Vegas.